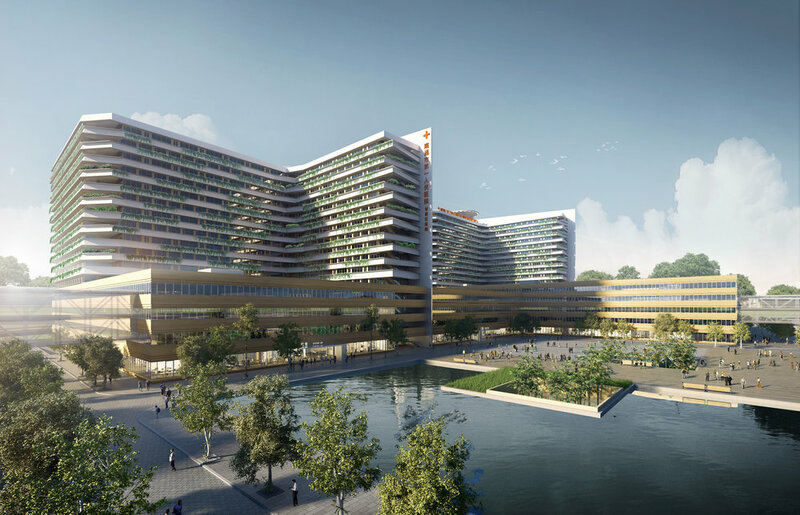 Nantong, as the back garden and north gate of Shanghai, who will be able to take over high-quality medical resources in Shanghai and international medical patients, and provide more abundant, high quality, unique and close medical services for the Yangtze River Delta region in the future. we envisage the central innovation zone international healing can be divided into A, B, C, D four sites: respectively four centers: INTERNATIONAL MEDICAL CENTER, INTERNATIONAL REHABILITATION MEDICINE AND TOURISM MEDICINE CENTER, MEDICAL INDUSTRY INNOVATION CENTER and MEDICAL EDUCATION CENTER. In this way, medical, rehabilitation, pension, tourism, medical, industry, scientific research and education can synchronously develop, mutually promote. The underground efficient logistics, accessible services of inner ring, linked medical technology of middle ring and the the private green life of outer ring. The commonly construct the structure of the future healing campus.